Pokémon trainers rejoice: there is a cheaper and easier method of hunting Pokémon in town: the PoKéWheels bus. Released in July 2016, Pokémon GO is a free, augmented reality game where players, called trainers, can visit a locations around the world to virtually catch Pokémon. Trainers can collect items that will help them gain levels and experience in order to battle other trainers for control of gyms. For students living on campus who do not have their own personal transportation, hunting Pokémon throughout Miami can be challenging. Now, with the PoKéWheels bus, all University of Miami students can visit the highly populated PokéStops in the city. “It allows trainers to take advantage of the real benefits the city has to offer in a stress-free and fun way with others, avoid hunting and driving, fix issues leveling up and help with item accumulation because everyone hates running out of PokéBalls,” Andres Fernandez, one of the chief financial officers and drivers of the PoKéWheels bus, said. The bus also gives trainers the opportunity to collect more than 600 items, 10,000 XP points and to catch rare Pokémon. For University of Miami students, getting on the bus is easy. The PoKéWheels bus stops at the McLamore Plaza on Sundays through Thursday at 7 p.m., 10 p.m. and 1 a.m., so students don’t have to skip class. After picking up trainers at the plaza, the bus makes stops at Florida International University, Wynwood, South Beach and Downtown, some of the best places to hunt Pokémon in Miami. 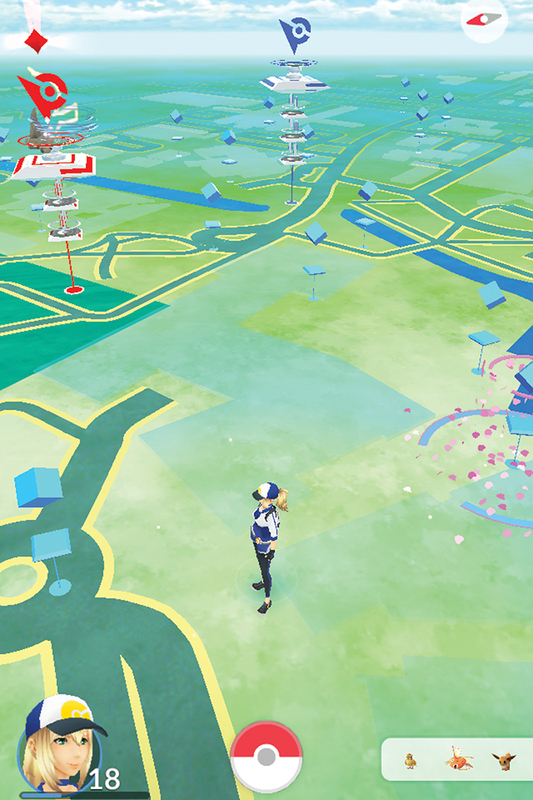 Trainers can hop off the bus at each stop in order to find more Pokémon at each location, or they can remain on the bus for the round trip, which lasts approximately three hours. Both methods allow trainers to easily catch Pokémon and visit PokéStops, as the bus passes by a variety of populated locations. A one-way ticket to one stop is $5, while a round-trip ticket is $20. Students who are not a fan of Pokémon GO can use the bus as an alternative method of travel. “UM students can use us to get to Wynwood for cheaper than Uber,” Fernandez said. However, there are only 13 seats, so students should reserve a seat ahead of time by sending a text message with pick-up time, location and number of seats to 321-765-328. The PoKéWheels bus adds a social aspect to the game, as trainers can interact with others while hunting Pokémon. “[Riding on the bus] is a total blast. There’s nothing like sharing your PoKé Journey with others that share the same passion while truly advancing your game,” Fernandez said. PoKéWheels is also offering a promotion that can earn trainers a free ride. “Trainers can post a selfie with our red business card saying ‘I want to be the very best’ and use the hashtags #pokemongomiami and #pokewheels,” Fernandez said. A free ride and a variety of Pokémon, what more can a trainer ask for? Photo of the Week: LaunchPad Go!